How Much Money to Bring to Ireland? Money makes the world go round. But how much spending money should you bring to Ireland? First things first, it’s important to note that there are two currencies on the island of Ireland. Euro (€) is used in the Republic of Ireland (including most big cities: Dublin, Cork, Galway, Kilkenny, Kerry, Donegal, Mayo and Waterford). If you’re flying into Dublin, it’s Euro! 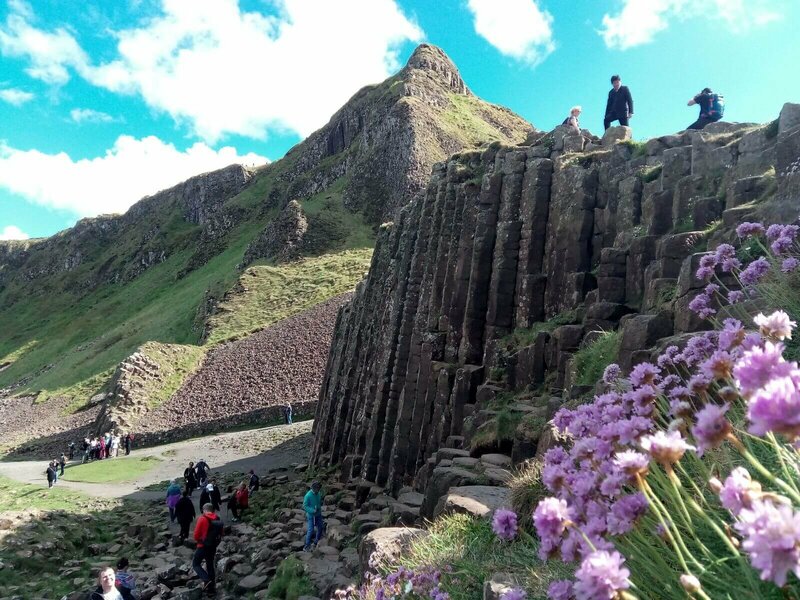 Sterling (£) is used in Northern Ireland (including Belfast, Derry, Enniskillen, Giant’s Causeway and Carrick-a-Rede). Otherwise, you’re good with Euro. Where’s best to convert currency in Ireland? We strongly recommend that you don’t carry all your spending money as dollars into Ireland to convert. The best option is to convert money before you travel, locally. If you have money to convert once you’re in Ireland, it’s best to avoid currency desks in airports or near tourist attractions. They typically have higher rates and charge a commission fee. You’ll get the best value at Irish Post Offices in the Republic of Ireland or at local bank branches, anywhere on the island. 💡 Pro Tip: For live exchange rates, check out XE.com (please note that the actual rate offered by a bank/currency desk may include fees and have higher rates). Will my ATM / Credit Card work in Ireland? Whether your card has a chip and pin system, or you sign a receipt with each purchase, it should work in Ireland. Irish card machines commonly work with both systems. Many Irish service staff will automatically expect a chip and pin (or ‘tap’) when you pay. Let them know you’re on vacation and your card type. There are some important exceptions. AMEX, Diner’s Card, JCB and Discovery are NOT widely accepted in Ireland. American Express user? You’ll need an alternative card to travel in Ireland. 💡 Pro Tip: if offered the chance to ‘pay in dollars’ when billed, always opt for the local currency (euros or sterling). This is the best value! This choice between cash and card boils down to personal preference. ATM cash machines are not prevalent in some of the off the beaten track destinations we travel to. For this reason, it’s best to avoid the need to visit an ATM every day of your tour. However, carrying large amounts of cash is inadvisable too. Remember to notify your bank of your travel plans before you leave. 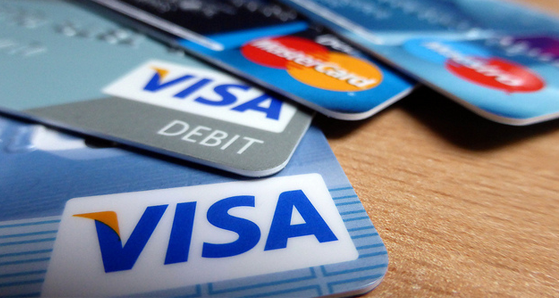 Unexpected international charges on bank cards may lead to a block on your account. If your tour is going to Northern Ireland, mention you will be visiting the UK as well as Ireland. 💡 Pro Tip: When talking to your bank, be sure to ask about international service charges, which can range from 1-3%. How much money will I need in Ireland on tour? Relax! 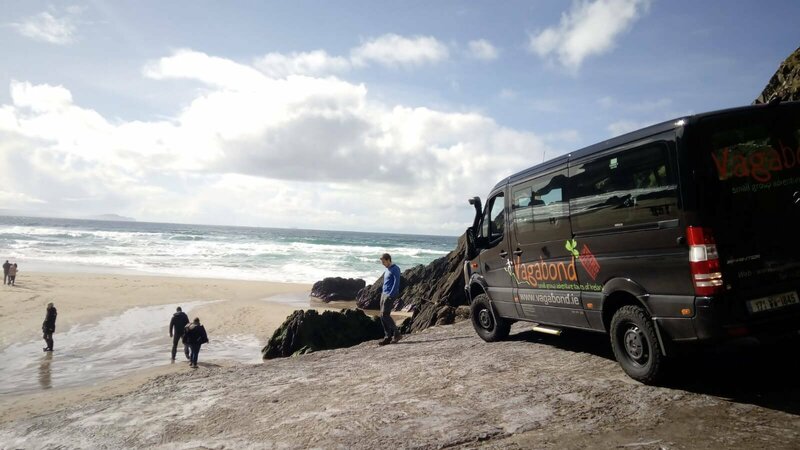 Your accommodation, breakfasts, guide, transport and admission to most attractions are covered on your Vagabond or Driftwood tour. But there will be some additional costs to consider..
You’ll need to choose a great spot for lunch and dinner each day (we’ll recommend our favourites so you’re never stuck!). You’ll also want to try out some or all of our optional activities. You may even bump into a great weaver/potter/glass-blower and come home with some real Irish craftwork! In this sample budget, we’ve imagined a typical guest who plans on eating well, doing as many optional activities as they can and buying a moderate amount of souvenirs. 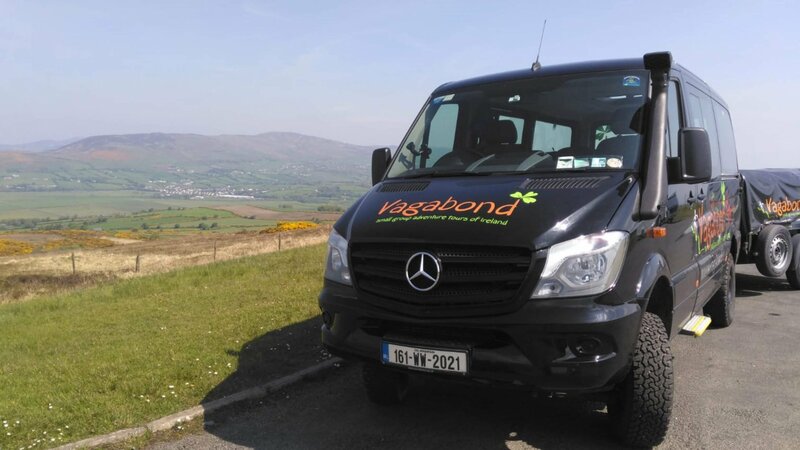 * €20 is based on someone taking part in all the optional activities over the course of a 12 Day Vagabond Giant Irish Adventure Tour. Some days you’ll spend more, some less. €20 is what it balances out to. How much money will I need in Dublin? All of our tours start and finish in Dublin. We recommend you stay and check out what this great city has to offer. *The Dublin Pass – gives you access to attractions such as Guinness Storehouse, Dublin Zoo, Jameson Distillery and many more. As well as the hop-on hop off tours. Find out more on the Dublin Pass website. Compared with cities in the US and Canada, Dublin may seem expensive. Dining, particularly if you want to drink wine, can be pricey. Quality of food is great, however. 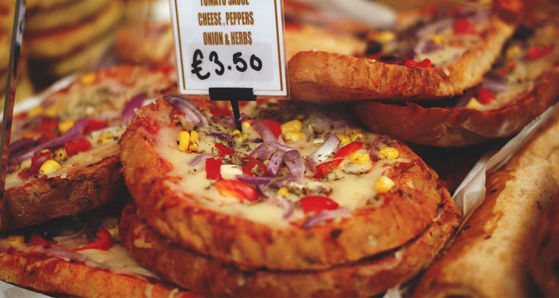 And there’s value to be found if you’re willing to dig into Dublin’s exploding food scene. What’s the Average Hotel Price in Dublin? A 4 star Dublin city centre hotel can cost roughly €150-200 per night, based on two people sharing. If there is a large sporting event or concert happening in Dublin, accommodation prices can rise steeply. We recommend booking your Dublin accommodation well in advance. Ideally, book as soon as your tour is confirmed. On a budget? We’ve included some cost saver tips below. 1. Use Airbnb – Airbnb is a popular alternative to hotels. Private rooms in Dublin city centre range from €70-150 per night. But rates can go much lower if you’re willing to share the apartment with the owner or can travel away from the city centre. 2. Stay outside Dublin City Centre – Hotels and B&B’s outside the city centre will offer cheaper rates but still be close enough to travel to and from all the attractions easily. 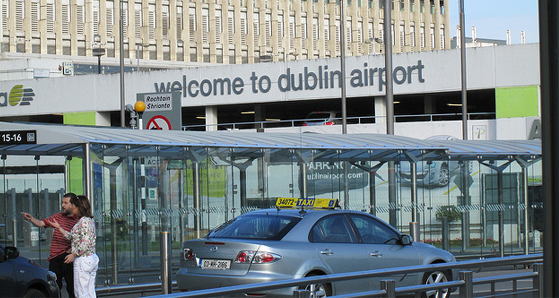 Remember to factor in €20-€50 for a taxi to the Grand Canal Hotel (our pick-up and drop-off point). 3. Opt For Cheaper Lunches & Dinners – Grab a freshly-made roll or sandwich for €3.50-€5 from a deli (normally located in larger convenience stores). Hearty pub grub menus range between €10-€15. Check out ‘early bird’ menus that many restaurants offer from 5-7pm. A typical deal might cost €30 for a two course meal for two people. 💡 Pro Tip: Fill up at breakfast time! All hotels and guesthouses on Vagabond and Driftwood tours offer hot breakfasts. These are seriously filling meals in themselves, usually featuring sausages, bacon, eggs, bread, pastries and even oatmeal, fruit and yoghurt of various types. How Much Should I Tip in Ireland? Tipping in Ireland is not as strict or deeply-rooted as in the US or Canada. It’s normal to leave between 10-15% of the bill in a restaurant, but is in no way necessary. Higher than 15% in a restaurant is really only given for exceptional service or a large group. 💡 Pro Tip: Check the bottom of your restaurant bill. If there is a service charge added to your bill then don’t add any extra gratuity. How Much to Tip Your VagaGuide? This is another question we get asked quite a lot. Tipping is not generally expected in Ireland, but is always appreciated when you’ve enjoyed great service. We say that the industry standard is approximately €5-10 per person, per day. But this is, of course, at your discretion. Irish Sales Tax (VAT) – How Does It Work? The price you see is the price you pay! Unlike the US, all taxes are included on prices and receipts. There should be no additional charge added for sales or other taxes. If you’re a non-EU citizen, you’ll be delighted to hear that you are eligible to claim back Value Added Tax (VAT) on items that you purchase in Ireland. VAT rates vary in Ireland but can be as high as 23%. Free money!